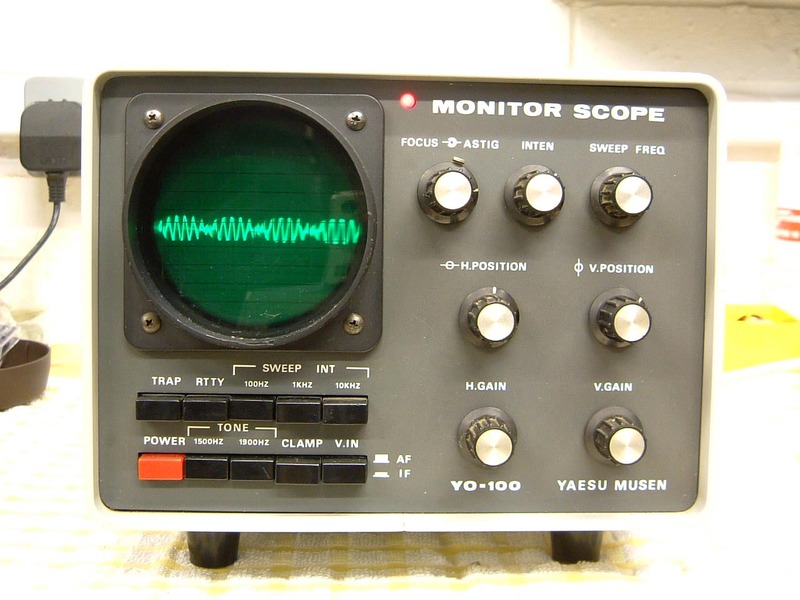 I've been after one of these for some time, simply to have a monitor scope with the bonus that it matches the FT-101. Prices on eBay seem to hit around the �100 mark, which is a little pricey (the FT-101 cost me less than that). This one was spotted at the 2005 Canvey Island Rally, the op selling it knew me and dropped a fiver off the ticket price bringing it down to �30. There's a minor fault with it and it needs a service - all in all, a bargain. 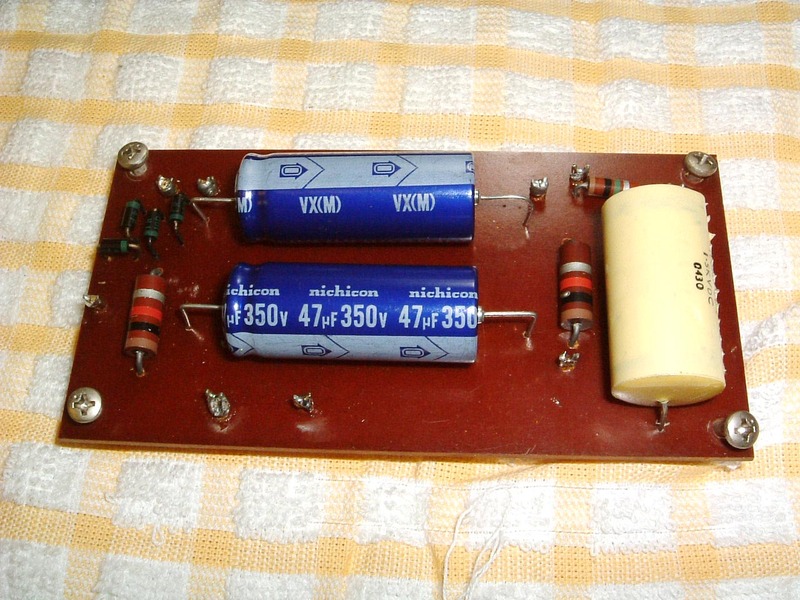 There's a slight 'tick' noise where something is arcing every 5-10 seconds, the display drops periodically when it ticks, and there is visible 100Hz modulation on the brightness of the trace. It's perfectly usable though. 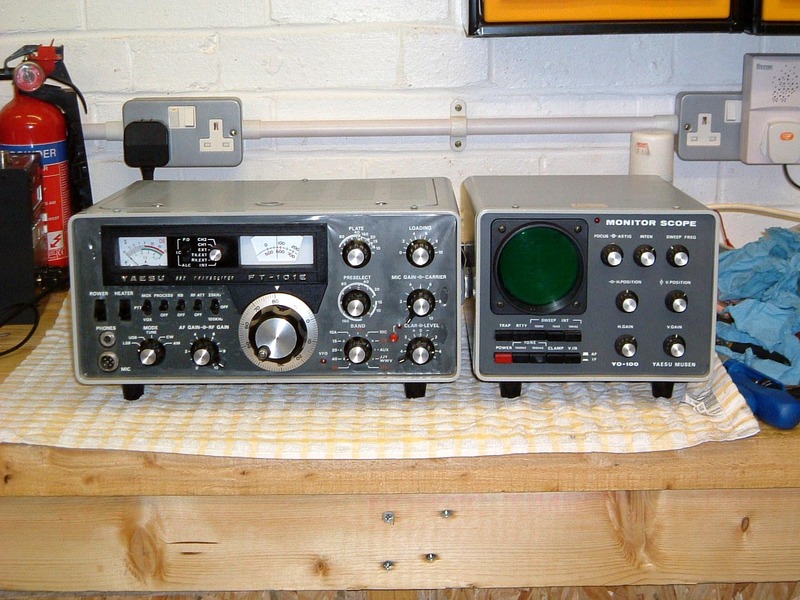 12th Feb 2005: The covers had just gone back on the FT-101 after a service, so it seemed appropriate to take a picture of the two together. Covers are off, not much to look at on the top side of the chassis. 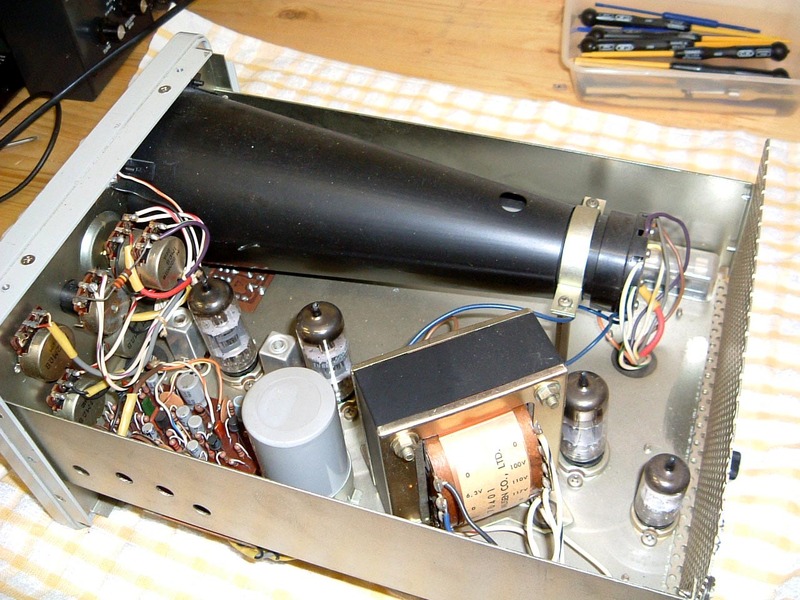 I thought the arcing might be coming from the CRT base, but it's definitely coming from beneath the chassis. Underneath the unit, the arcing is coming from somewhere in the middle. Even with the lights out, there's no visible arcing on the top or underneath the boards so I'm guessing it's inside a component somewhere. 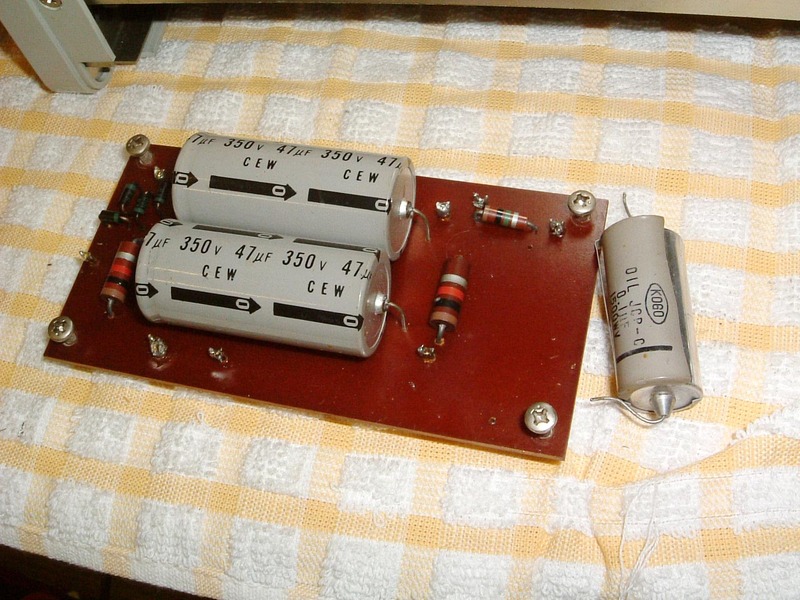 16th Feb 2005: Bits have arrived, capacitor has been replaced. The electrolytics have been replaced at the same time - it seemed sensible to do this while the board was stripped out anyway. Voila - all sorted. 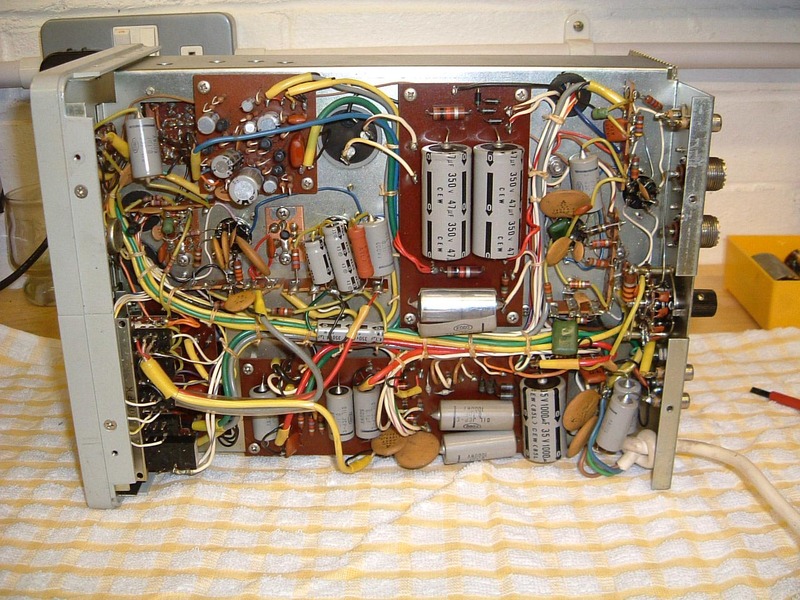 This is just a pic of the two-tone output jumpered back into the vertical input.